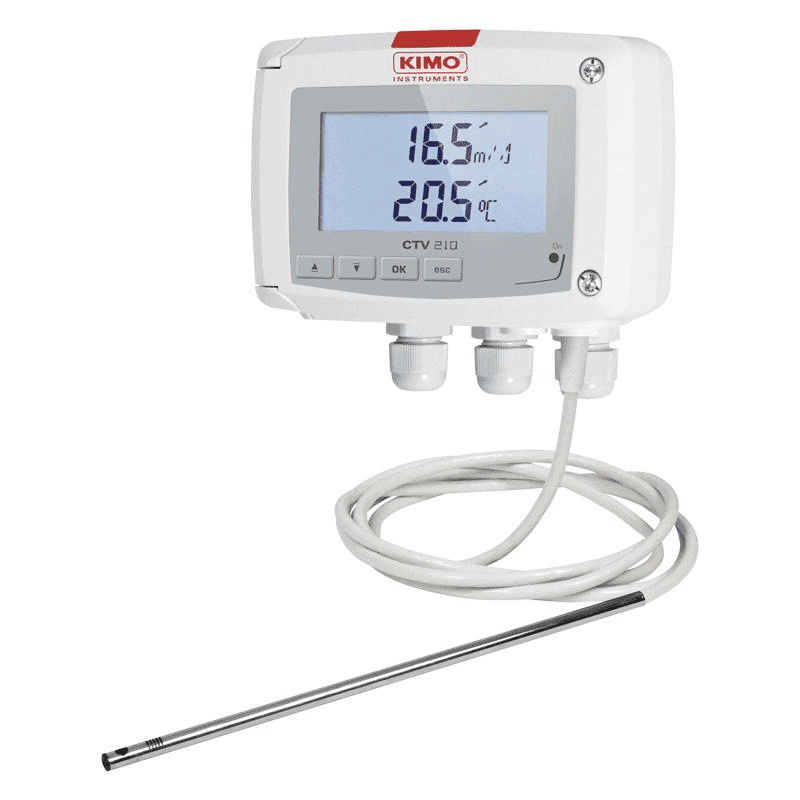 The Kimo CTV210 is a series of air velocity transmitters with or without display. The CTV210 is ideal to use as flow measurement in air ducts, fume hoods and laminar flow cabinets for connection to a building management system. The transmitter can be carried out with a standard stainless steel probe, or a special omni-directional probe.